As French émigré Roman Catholics, Lizette Molyneux and her brother Robert are used to an existence on the edge of their Regency Nottingham community. But when Robert is arrested for a crime he insists he did not commit, Lizzie must draw on all her strength and courage to help him. Overcoming poverty, prejudice and the unwanted advances of her employer’s son, she unites with the frame-breaking Luddites to free her brother and to rectify social injustice. With all the excitement of Sharpe (Bernard Cornwell), as well as the social commentary of Elizabeth Gaskell and Victor Hugo, Framed dramatises the issues of a turbulent time and champions the resistance of poverty-stricken workers. 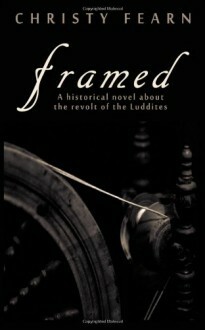 If you liked Les Miserables, then you’ll love Framed!